Claiming that it has more Christian themes than C. S. Lewis' "The Lion the Witch and the Wardrobe," "Disney's 'Frozen' might be the most Christian movie that I have seen this year," wrote Collin Garbarino, assistant history professor at Houston Baptist University, on the official blog of the university's School of Humanities. Garbarino's post has garnered much attention as the popular animated film continues to see success at the box office. In an interview with Fox News, Garbarino explained that while watching the film based on the Hans Christian Andersen's fairy tale for the first time, he noticed Ana could be viewed as a Christ figure. To explain the connection, Garbarino described the themes of Christianity. "The Christian message is that people are sinners and have these broken relationships and that Christ comes and takes on the punishment for that sin, dies a death that he didn’t deserve, and then is resurrected and then brings reconciliation through people," he told Fox News. Garbarino then made the connection to the characters in the film. "Elsa has broken relationships, and she has guilt, and she pushes people away — and her sister is sort of like a Christ figure who pursues her," Garbarino said. "Anna comes and pursues, and when she pursues her, she has to die. And then she’s resurrected, which kind of proves the strength of her love, and it brings reconciliation, and Elsa is saved because her sister dies." While discussing this topic with Guardian reporter, Mark Pinsky, Garbarino said, "Our children need to hear that sometimes the act of love has to come from the person who has been wronged. Christ comes to us, and he's wounded for our transgressions, even though mankind has turned its back on him. God hasn't given up on us." Garbarino's also points out the parallels between Dante's "Inferno" and the animated film: "While watching this scene, I was overwhelmed with memories of Dante’s 'Inferno,"' the professor wrote. He then relayed details of how Dante traveled through the nine circles of hell only to find Satan not in a fiery pit but frozen. Trapped at the waist, Satan was unable to be set free, according to the tale. "Satan has six great wings, and every time he flaps them, they produce an icy blast that further freezes him in place," Garbarino wrote. "Satan and Elsa suffer from the same desire. They both long to be free. Elsa wants the freedom to be herself by shedding obligations to family and society. Satan wants to fly. ... Luckily for Elsa, a redeemer is coming to rescue her instead of leaving her trapped in her frozen hell." Longtime Disney animator and creator of Gus from "Cinderella," Mark Henn spoke with the Christian Broadcasting Network regarding the Christian appeal of the film. "Christian families can use ('Frozen') to talk to their kids ultimately (about) honest, sacrificial love," Henn said. "We all understand that. The love of Christ is sacrificing his life because he loved us so much. God so loved the world through Christ. That's sacrificial love." 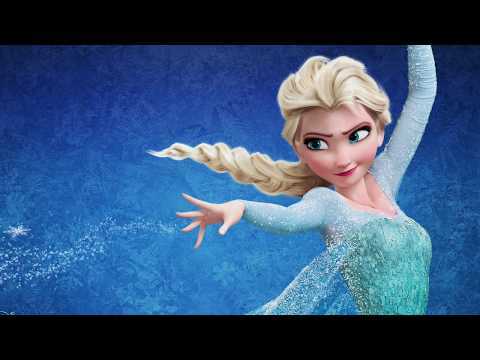 Before the film was released last November, there was also discussion about whether an August Heinrich Hoffmann von Fallersleben poem that is now sung as a hymn would be included in Frozen's introduction song. The hymn known as "Fairest Lord Jesus" or "Beautiful Savior," composed by Frode Fjellheim, did not make it into the final version of the film's "Vuelie," but this version of the song can be found online.